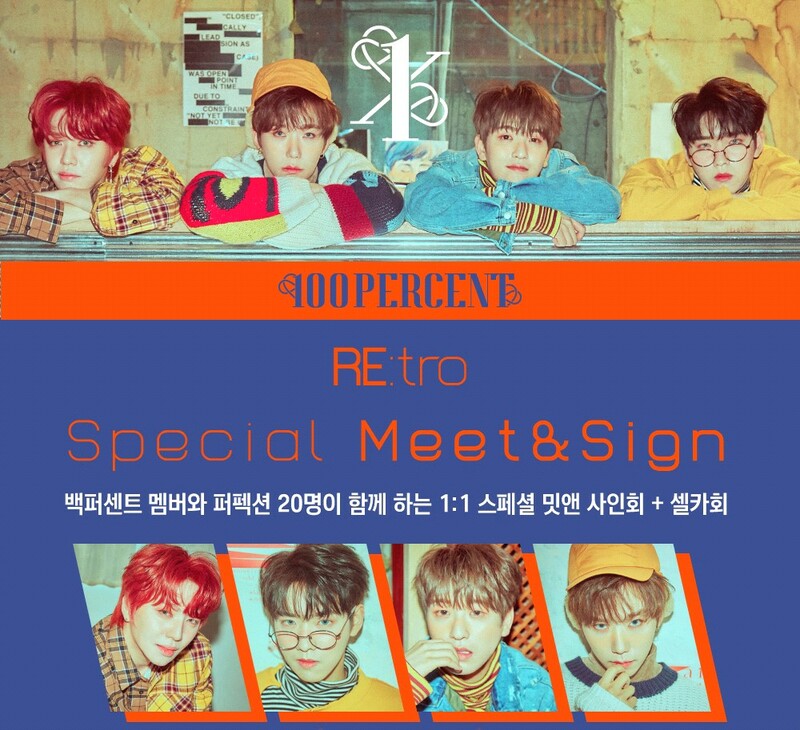 The group's 100% are attracting attention with special promotions to celebrate the release of their sixth album "RE:tro." The latest album, "RE:tro," utilizes "RE:," which means "a 100% response to love sent by fans," and, as the album name means, 100% are touching fans with various promotions that can reciprocate their love. 100% held a one on one fan signing event on March 30 to meet their fans closer, and on March 31, they hosted a song day and perform live songs from the album that fans wanted to hear. they held a "spring train tour" on April 7 to travel to Chuncheon with his fans to make special memories. Previously, 100% held a mini fan meeting to celebrate their comeback to White Day and held a surprise event to hand out handwritten notes to fans along with a candy package that was wrapped in person. Also, 100% of the members held a member's day from the 16th to the 23rd and held a small event wearing costumes that fans wanted to see. 100% performed a good-bye performance of the album's title track "Still Loving You" on SBS' "The Music Trend" on March 31.